Want to Practice Public Relations in Brazil? There’s a license for that. Brazil became the first country to license public relations professionals in 1968. The PR industry became regulated on December 11, 1967, through Law Number, 5,377, and was legalized by Decree Law Number 63,283 on September 26, 1968. In addition to requiring a license by the state’s regional council, a public relations professional must also obtain a public relations degree to practice. Although no longer the case today, the rationale for imposing the PR licensing law was predominately for the Brazilian military and government to restrict or censor the myriad forms of social communication that could reach the masses. Fifty years ago, when the licensing law was first passed, public relations was not prevalent in the Brazilian academic world or in society generally. However, as the role of PR has expanded over time, there have been proposals to revise the bill. In 1971, the Federal Council of Public Relations Professionals (CONFERP) and the Regional Councils of Public Professions (CONRERPs) were established to license and regulate the PR industry in Brazil. More recently, in 1998 there was a recommendation to modify the definition of public relations, as well as to reassess the educational standards for practicing PR. 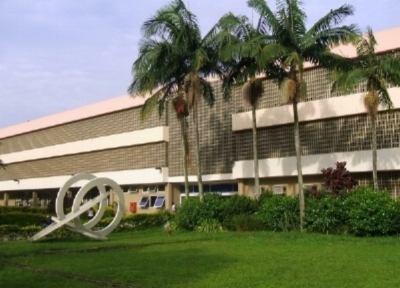 The Main building of the University of São Paulo School of Communications and Arts. The first undergraduate public relations course was established by the Escola de Comunicacoes e Artes, or The School of Communications and Arts at the University of Sao Paulo in 1967. That same year, Nilo Luchetti, a journalist and public relations practitioner founded Aberje, a not for profit organization whose stated objective it to promote the communications industry. Many global and national organizations quickly formed partnerships with Aberje and benefited immensely from its numerous academic resources and publications. The Aberje award was later created to honor institutions that exercise a strong display of excellence in the communications field. In 1985, Margarida Kunsch, the current director of the School of Communication and Arts at Sao Paulo, published her Master’s thesis paper on public relations. This led to her book Planejamento das Relacoes Publicas na Comunicacao Integrada, or PR Planning in Integrated Communications. Kunsch’s book, which serves as a guide for achieving the best communication practices, is widely considered to be the gold standard for books written on public relations in Brazil. In the present day, Brazilian businesses routinely hire public relations practitioners from numerous academic backgrounds, including; journalism, advertising, marketing, business, law, social sciences, and PR. Companies with public relations departments, or related roles, are typically referred to as corporate communications, institutional communications, public affairs, business communications, or simply, communications.